Although slab heating is growing increasingly more popular, there are still numerous homeowners who are not sure if it is the right choice for them. There are pros and cons associated with the slab option as there is with any heating system, you must weight each side before making a decision. Slab heating is known for its exceptional performance. This option is completely noiseless operation (or as close as you can get). There is no distinct start up sound that most heating systems have and you won't hear that rattle of the duct work. Slab heating has a thermostat that you can set to the desired temperature; this will ensure that your entire house has the same even temp- from top to bottom. This option is also cost effective when you take into account the costs to install and to run over the years. 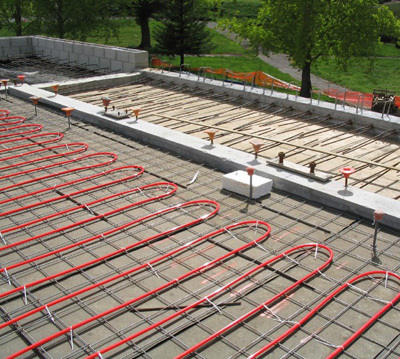 Slab heating is still a new trend amongst homeowners, you might find it hard to find an installer in your area. Keeping our homes warm during the winter months of the year is one of the highest priorities of homeowners the world over; with this heating option, you will be able to do just that with relative ease.